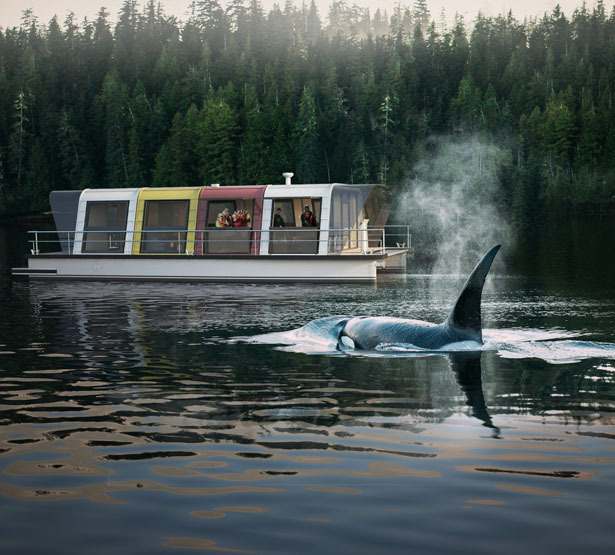 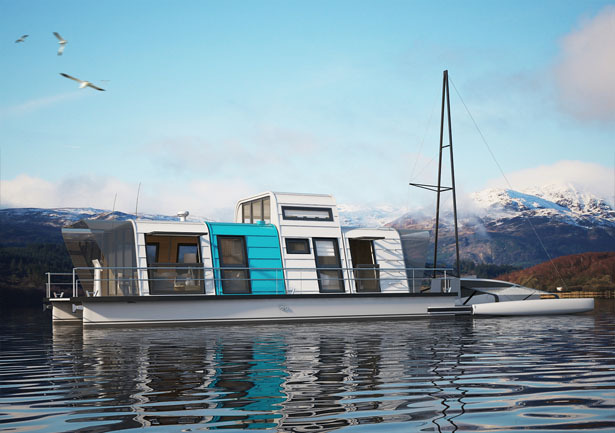 Inspired by canoe trips with friends, Max Zhivov has come up with “Modul Go” Houseboat project. 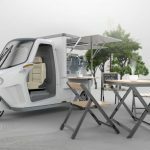 The LEGO-like children constructor and mobility feature of IKEA furniture also play an important part in this project. 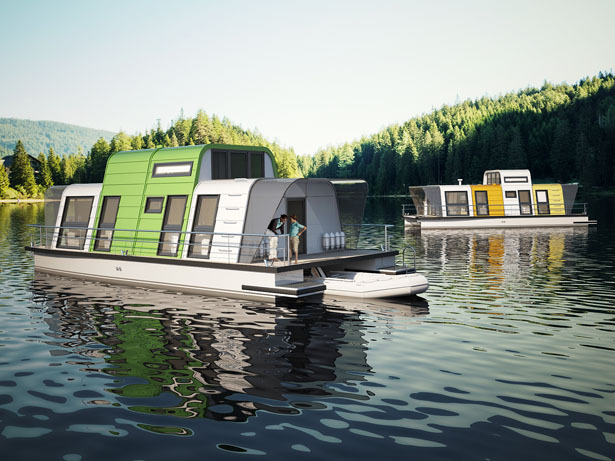 The main goal of Modul Go is to provide consumer with an inexpensive solution for life on water, a houseboat that is mobile and can be easily modified to suit its customer’s lifestyle and needs. 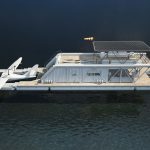 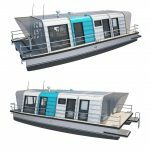 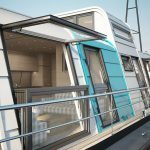 Modul Go Houseboat by Max Zhivov offers a standard living module that features two rooms, café, equipment rental point, hydroplanes pad, cargo variant for transporting goods, and boat refueling module. 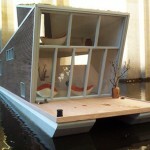 All houseboats would be easily modified to even specific requirements. 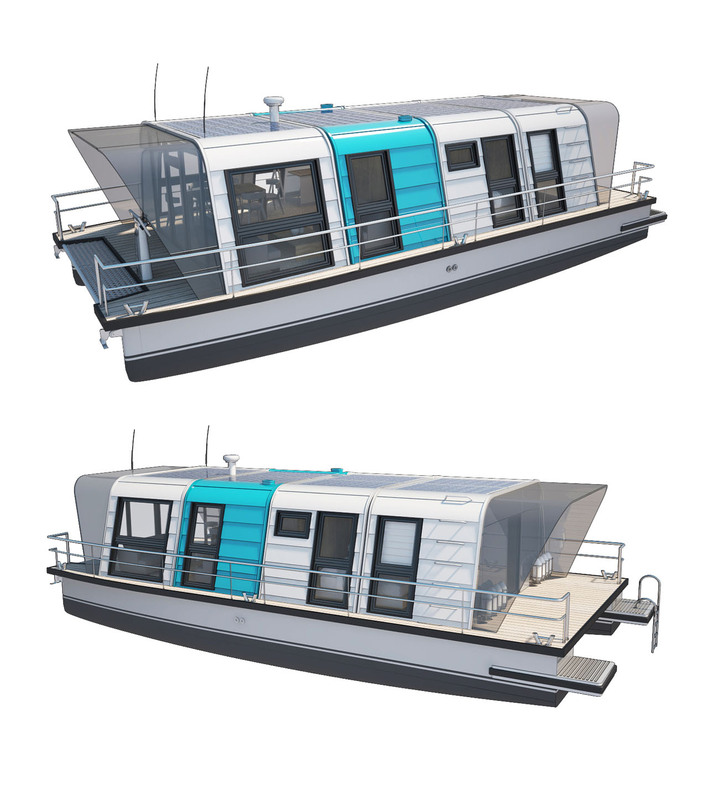 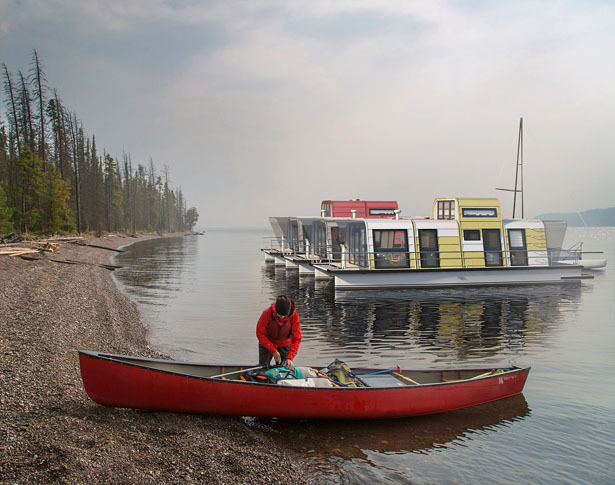 The basic platforms for this houseboat are 9m x 4,5m and 13m x 6,5m. 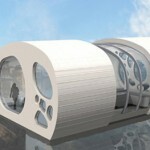 there are 10 types of sections developed with dimensions of 2,4m (W) and 2,3m (H). 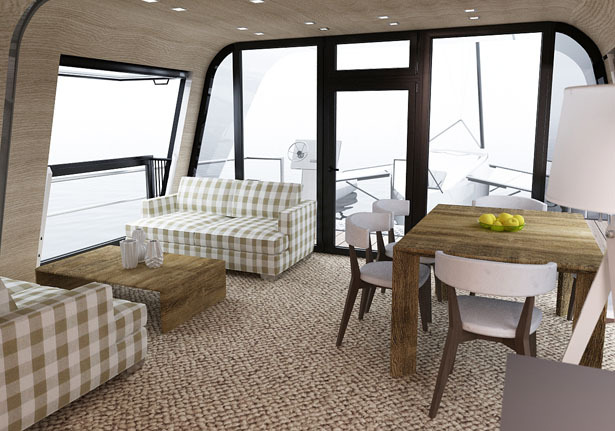 There’s another type of section with an increased height 3,5m. 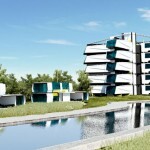 These sections can have different types of windows or walls without any openings. 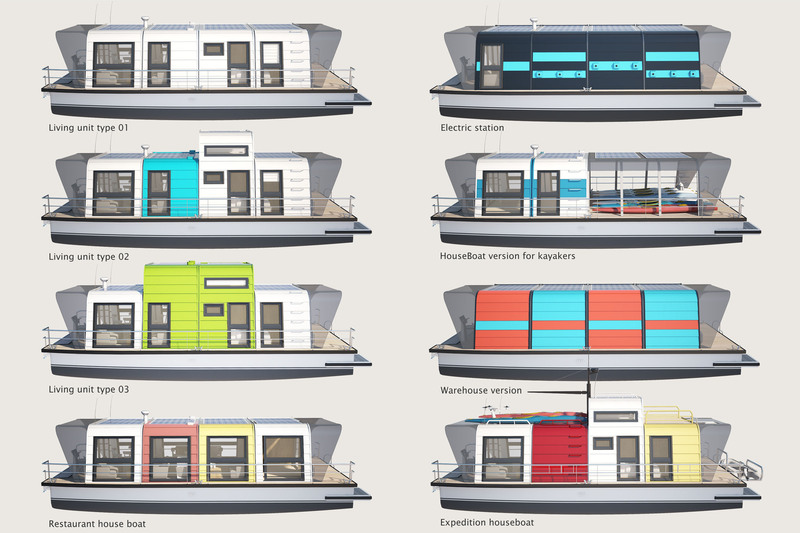 These “Modul Go” Houseboats use electric motors and solar panels, they are fully ecological. 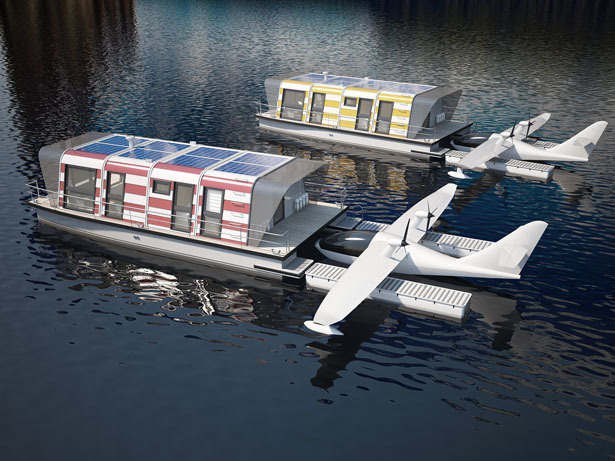 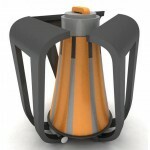 The power of electric motors are selected based on the houseboat model and its function. 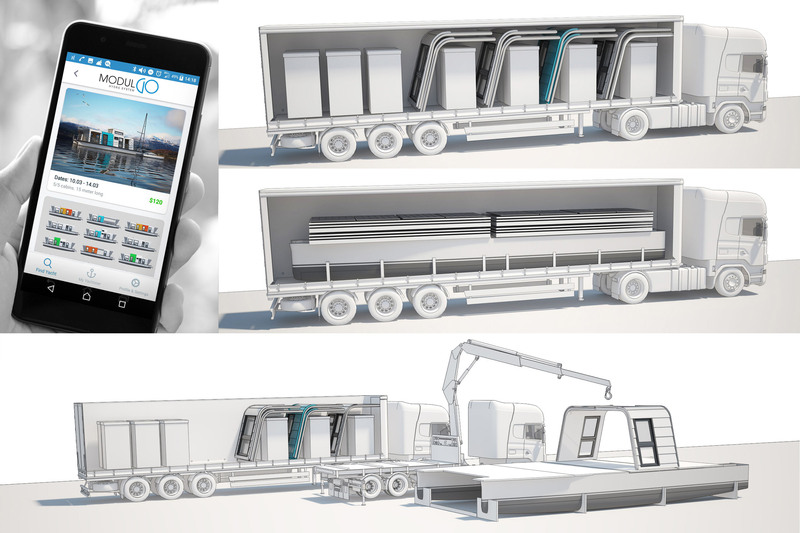 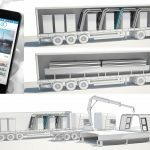 Each unit is designed in a way to enable them to be transported by two euro tracks, it should be easily assembled by four persons in just 2 days. 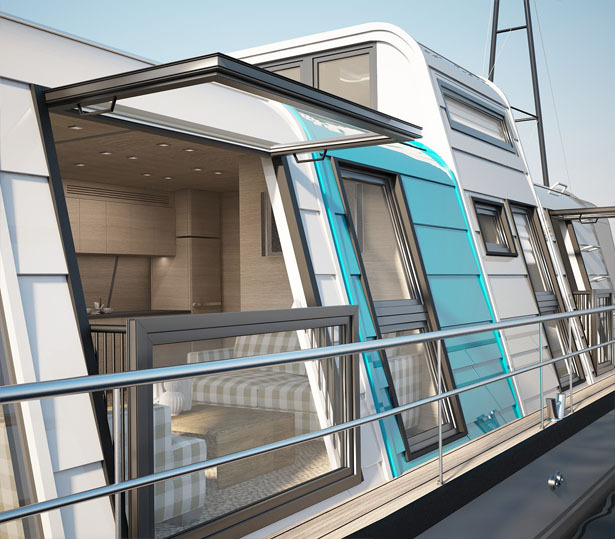 The companion mobile app allows customers to choose section types for the platform, any specific requirements, and see preview of their future houseboat on screen, including the estimated price. 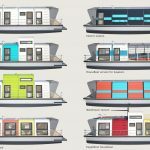 Tuvie has received “Modul GO Houseboat” project from our ‘Submit A Design‘ feature, where we welcome our readers to submit their design/concept for publication. 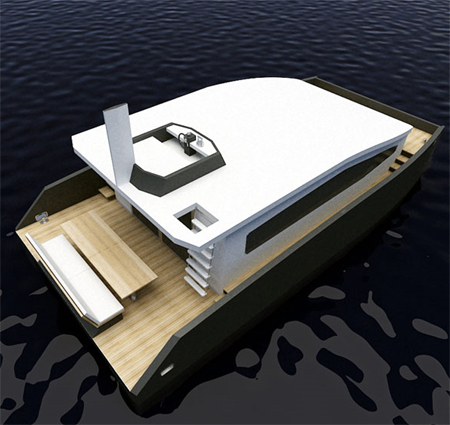 This entry was posted in Architecture, Designs and Concepts, Yacht and Boat. 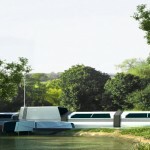 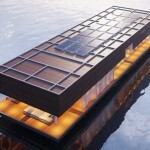 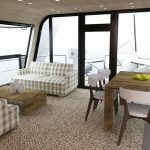 Tagged as life on water boat, modern houseboat design, solar powered and electric motors houseboat. 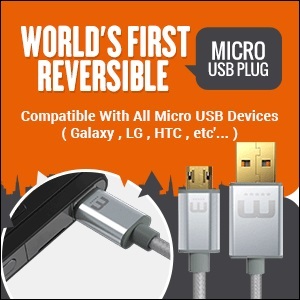 Mass produce, sell in the US, nice. 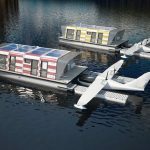 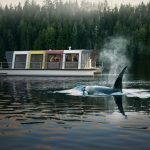 WHERE CAN THESE FLOATING HOMES BE BOUGHT?